On their new album, 'Immersion,' drum and bass hard rockers Pendulum collaborate with vocalist Anders Friden and guitarist Bjorn Gellotte of In Flames fame. It might seem like an unlikely pairing on paper, but the genres and bands aren't as disparate as you might think. The product of their efforts, 'Self Vs. Self,' will kick your patoot into oblivion. "Our favorite band growing up was In Flames," Pendulum bassist Gareth McGrillen told Noisecreep. "That was incredible to work with them, since they have been an influence for so long. They are our favorite metal band, so we thought, 'Let's do a track with them.' When we supported Iron Maiden on tour in Europe, Anders came out and did the song with us onstage and there were 80,000 metal fans in the UK appreciating it." Collaborating with In Flames? Opening for Iron Maiden? Pendulum certainly have metallic roots that can't and be denied. McGrillen also said he is up for remixing an In Flames song in the future as well. As for Pendulum's remixing career, they actually turned down Metallica. They probably aren't used to hearing "no," but Pendulum nixed a remix with good reason. "We remix what we shouldn't, which would piss people off. We did Led Zeppelin, but we only incorporated it into our DJ set. We also did 'Master of Puppets' for Metallica," McGrillen recalled. "The band was specific about wanting us to mix a different song, but we wanted to do 'Master of Puppets.' So we basically didn't do it since we didn't want to do the song they wanted us to do." So Pendulum actually turned Metallica down! McGrillen continued, "[Vocalist] Rob [Swire] and I need to 'feel' a track to remix it. It's like be a performing bear. Unless we love it and want to do it, we won't remix it, since we want to do a good job. We rarely do remixes. For an electronic band, it's rare to do so few remixes, but we're particular." 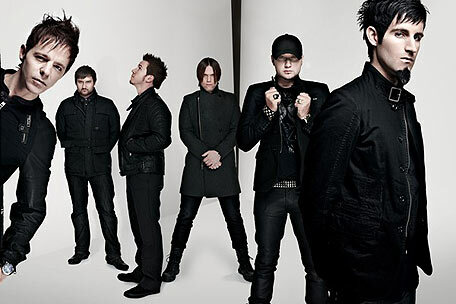 Pendulum will spend the next few months on tour with Linkin Park. "For anyone that has not heard of us, dial us up on YouTube and see the live footage to get a vibe," McGrillen suggested.